Does Bliss Fabulous Foaming Face Wash Work? Founded in 1996, Bliss made a splash in the New York spa scene, using their own in-house products for A-list clients. Now Bliss has expanded and sells products world wide using the online market place and stores like Sephora to offer their skincare products to the every day woman. They have an extensive line of products that are highly acclaimed. This line of skin care products by Bliss features a Fabulous Foaming Face Wash that acts as a 2-in-1 gel cleanser and beaded exfoliator that is oil-free. 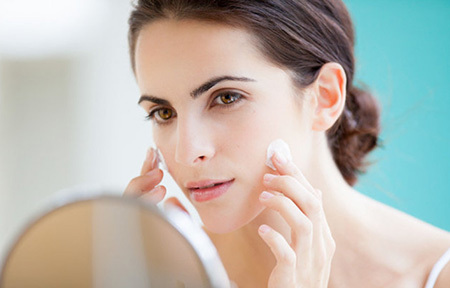 The face wash is advertised as a basic cleanser for any skin type that serves the purpose of removing makeup and dirt build up after the day is done. The formula is gentle and keeps the skin balanced, it cleans without using harsh astringents to strip the skin of its natural oils. The base of this product is Glycerine, which helps to keep skin moisturized without leaving it greasy or shiny. 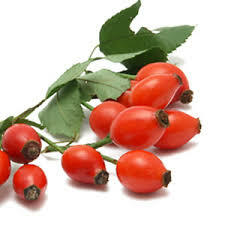 Rose Hip Extract promotes skin regeneration working to fade away scars and fine lines. Passion Flower is a skin softener, it leaves the skin velvety to the touch. Chamomile Extract soothes and has natural antiseptic properties that make for a deep clean. Polyethlene Beads act as microscopic scrubbers to reach dirt deep in the pores. This face wash is great because it works on any skin type. It is designed to work with the skin’s natural moisture levels rather than trying to eradicate any and all moisture that then must be replaced using expensive moisturizers. It effectively removes make up and dirt for sure. The downside to this product is the price and some of the not-so-natural ingredients that can cause breakouts and reactions for those with sensitive skin. The good news is that it is not a super strong formula laced with tons of Benzoyl Peroxide or Salicylic Acid. The downside is that it doesn’t really treat existing acne, it just can prevent new acne by keeping the pores clear. Apply the solution onto already damp skin and rub in until it foams and then rinse the formula away with warm water. The product can be used once in the morning and once before bed. Be sure to gently pat the face dry after use. Is this product fabulous enough for your face? Bliss is a great brand and makes really trusted products. This face wash doesn’t really claim to do anything super outlandish for the skin other than to give it a really fresh clean and preserve the integrity of your skin type’s balance. It is a simple daily cleanser that effectively does what it says. Some users had bad reactions to the fragrances and synthetic ingridents in the product. Many dermatologists recommend you only exfoliate twice to three times a week, so if you do have sensitive skin, maybe don’t use this product every single day. For those of you on a budget, I’d maybe wait until you can grab this one on sale. It is a lot of spend on just a basic cleanser.